Buy One. Two. One. - One. Two. One. 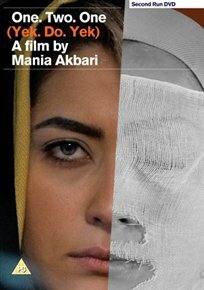 Iranian drama directed by Mania Akbari following one woman forced to contend with societal attitudes after an incident leaves her facially disfigured. Composed of a series of vignettes set in different locations, each episode tells the story of how the young woman came to be facially different, and how she now feels isolated from her former friends and family as she reassesses her ideas on love, loss and personal identity. Booklet featuring A letter to Mania, an essay by Mark Cousins.